JOHANNESBURG – MTN South Africa spent more than R400 million ($27.7 million) last year on investments in battery backup systems and generators. Despite the spend, its mobile sites continue to face significant threats, due to Eskom’s ongoing stage three and stage four load shedding. Excluding the amount spent on new batteries for new cell phone sites, MTN spent around R300 million in 2018 on batteries for existing sites. 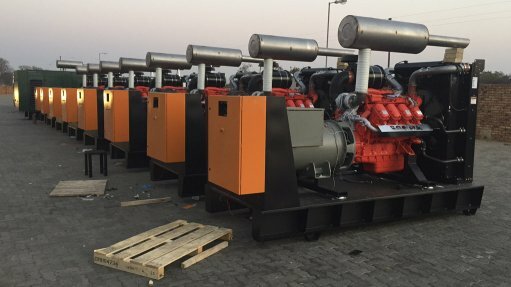 In addition to the batteries, MTN has 1 800 generators currently in use and the company spent more than R120 million in diesel fuel in 2018, to power these generators. The majority of MTN’s sites have been equipped with battery backup systems to ensure there is enough power on site to run the systems for several hours when local power goes down. However, the frequency of stage three and four load shedding is resulting in batteries not having enough time to recharge. “These batteries generally have a capacity of six to 12 hours, depending on the site category and require 12 to 18 hours to recharge, which in stage three and four load shedding is simply not happening,” explained Jacqui O’Sullivan, Executive: Corporate Affairs, MTN SA. Another significant additional cost of the load shedding is the extra on-site security that is needed to protect the batteries, generators and general site equipment from thieves and vandals. O’Sullivan disclosed the company had to spend in the region of R11 million to replace batteries at 100 sites in Gauteng Province. MTN has had to roll-out an extensive security programme focusing on visibility, detection and reaction to sites and this is being further boosted in the face of the current outages. Additional security is also required where mobile generators are deployed to protect those vital pieces of equipment. The company stated the extent of the outages has placed a significant strain on its overall network resources. Teams have had to be reassigned from growth projects to emergency management of sites, due to the load shedding. “Teams of technicians are being redeployed as and where required and additional shifts are being worked to restore and maintain connectivity, as quickly as possible, for our customers,” O’Sullivan concluded.